Day 2 we woke up bright and early for our 6am team meeting, we discussed strategy for the day and had a quick breakfast before heading to the paddocks and starting work. Our goals for the day were to get Sofie and Alice into tech inspection, so right at 8am we lined up with Sofie and got the tech inspection process started. There are 11 tech inspection stations for Hydrogen Prototype technical inspection: Weight, Horn, Timed Escape, Mechanical Systems, Hydrogen, Electrical Systems, Brake Test, Harness Test, Dimensions, Visibility, and Seat Belt. Sofie easily passed Weight, Timed Escape, Brake Test, Dimensions, Seat Belt, and Visibility. The horn was not installed yet, and when we got to Mechanical, we had some fixes we needed to do for Sofie’s steering wheel post before we could pass that station. We moved on to Hydrogen anyways, which is typically one of the most difficult stations to pass, and we passed our hydrogen leak test on the first go! Unfortunately we weren’t able to finish our inspection because the Shell Eco-marathon Opening Ceremonies were beginning and tech inspection was closing until 2pm. Canada Day, Canada SEMA Teams! Happy Canada Day to all our Readers! 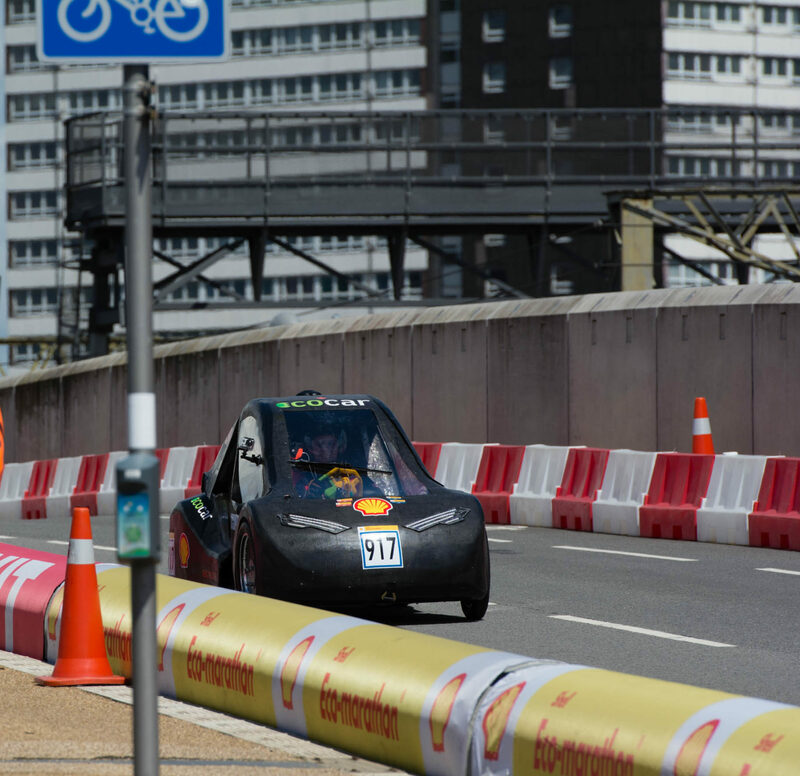 …….A total of 14 Canadian teams* showed up at Detroit for the 2017 Shell Eco-Marathon Americas and we all worked incredibly hard in hopes of winning the competition. We would like to acknowledge all these teams and ask you, the readers, to check out, and support our friends from coast to coast for we are all Team Canada, GO CANADA GO!! !